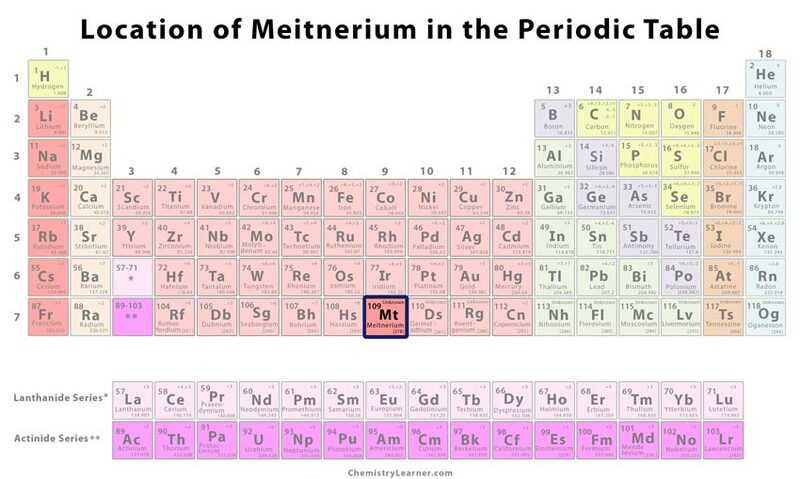 Meitnerium (pronounced as myt-neer-ee-əm) is a synthetic radioactive element, belonging to the family of transition metals, denoted by the symbol Mt [1, 8]. It is has been named after the Austrian physicist Lise Meitner . In 1982, a team of scientists headed by Gottfried Münzenber and Peter Armbruster synthesized the chemical element at the GSI Helmholtz Centre for Heavy Ion Research in Darmstadt, Germany. 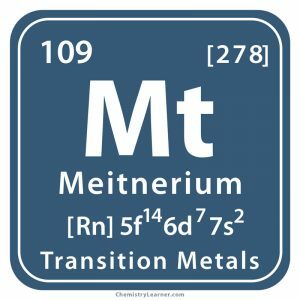 Meitrinium-266 that has a half-life of about 3.8 milliseconds was produced along with a free neutron by bombarding atoms of bismuth-209 with ions of iron-58 using a linear accelerator. 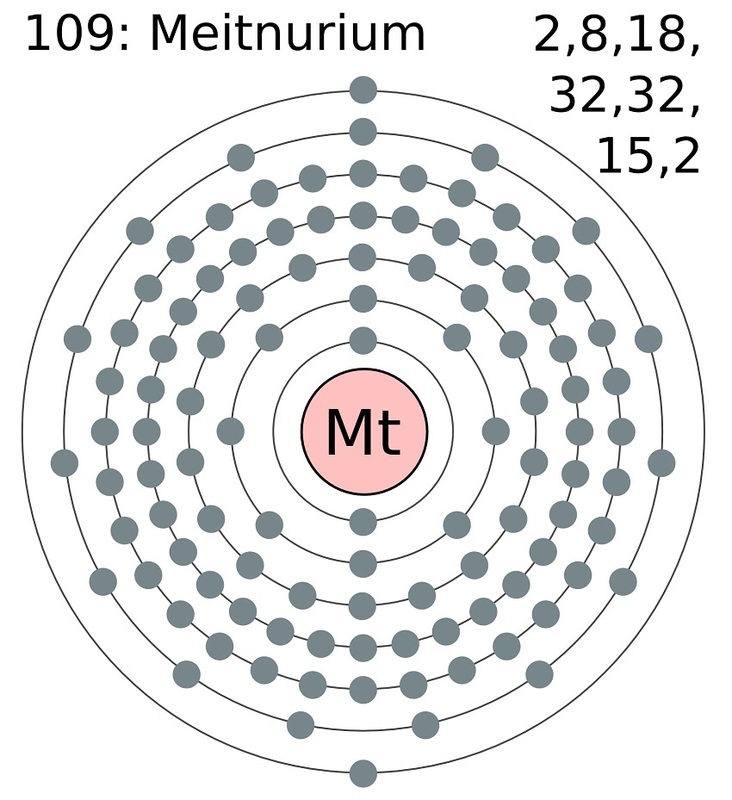 It has seven isotopes of which Meitnerium-278 is the most stable isotope with a half-life of 8 seconds, decaying into Bohrium-274 . It is not found in nature, and fewer than 10 atoms have ever been synthesized in the laboratory. So, it does not have any important commercial applications besides scientific studies. The short half-life of Mt makes it impossible to perform experiments to determine bonding, reactions, with other elements, or study its properties [1, 2]. Mt might be dangerous to health as it is a radioactive metal . It is believed to exhibit properties similar to iridium, cobalt, and rhodium that are also members of group 9 on the periodic table . The discoverers of the metal were also responsible for isolating bohrium and hassium . 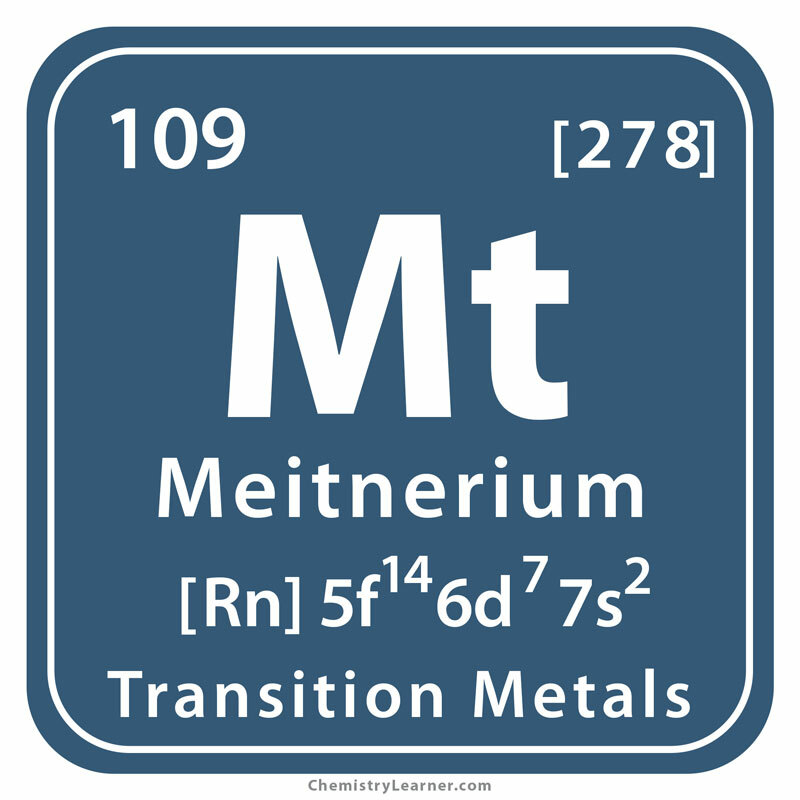 The part of the electronic configuration of Metrinium that is equivalent to the noble gas of the previous period is abbreviated as [Rn]. Owing to the unstable nature of the element, it is not available commercially .